How did you get hired as an editor at PureWow? Were you always interested in beauty? Growing up, I was always obsessed with beauty and loved to write, but I never really put those two things together. After I graduated college, I started out in nonprofit, then I zigzagged over to finance. But when I moved to New York, I realized that a job that combines beauty and writing really does exist. It kind of clicked for me, so I went after it. Before I was hired at PureWow, I was a beauty editor doing mostly print work at Real Simple. I knew that I had to make the switch to digital at PureWow because it would be a smart move to start getting that experience. What about beauty is so special to you that it stuck during those years you worked in finance? I think that what really drew me to beauty is the fact that it's so universal. Everyone has a beauty story, memory, or product that they can associate to a special time in their life. So many personal stories can be shared through beauty, and its accessibility--in terms of price points--makes it easier to do so. And it's so global, too. It's so fascinating to learn about the different trends all around the world. Beauty is just a topic that you can explore forever and never really run out of things to talk about. Now that you’re working as a Senior Beauty Editor at PureWow, what’s your favorite part of your job? This is so cheesy to say, but honestly, how do I choose? I mean, I love the versatility of it. I’m constantly being pulled into new projects. Everyone is really open-minded and creative at PureWow, and they are always willing to try new things. No one takes themselves too seriously there, but we take our work seriously--it’s a really good balance. Everyone is just so nice and fun to be around. I met some of my closest friends there that I now hang out with after work hours. It’s crazy to think that PureWow used to have such a small office--I was employee number thirty-something. Now we’ve outgrown our old office space and we have well over 100 employees. It’s been really exciting to see the company grow. Carrie: So first of all, how did you get hired as an editor at PureWow? Were you always interested in beauty? Jenny: Growing up, I was always obsessed with beauty and loved to write, but I never really put those two things together. After I graduated college, I started out in nonprofit, then I zigzagged over to finance. But when I moved to New York, I realized that a job that combines beauty and writing really does exist. It kind of clicked for me, so I went after it. Before I was hired at PureWow, I was a beauty editor doing mostly print work at Real Simple. I knew that I had to make the switch to digital at PureWow because it would be a smart move to start getting that experience. Carrie: What about beauty is so special to you that it stuck during those years you worked in finance? Jenny: I think that what really drew me to beauty is the fact that it's so universal. Everyone has a beauty story, memory, or product that they can associate to a special time in their life. So many personal stories can be shared through beauty, and its accessibility--in terms of price points--makes it easier to do so. And it's so global, too. It's so fascinating to learn about the different trends all around the world. Beauty is just a topic that you can explore forever and never really run out of things to talk about. Carrie: Now that you’re working as a Senior Beauty Editor at PureWow, what’s your favorite part of your job? Jenny: This is so cheesy to say, but honestly, how do I choose? I mean, I love the versatility of it. I’m constantly being pulled into new projects. Everyone is really open-minded and creative at PureWow, and they are always willing to try new things. No one takes themselves too seriously there, but we take our work seriously--it’s a really good balance. Everyone is just so nice and fun to be around. I met some of my closest friends there that I now hang out with after work hours. It’s crazy to think that PureWow used to have such a small office--I was employee number thirty-something. Now we’ve outgrown our old office space and we have well over 100 employees. It’s been really exciting to see the company grow. 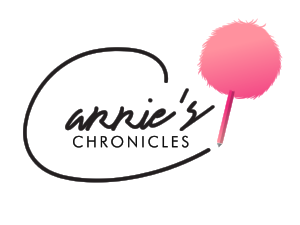 Carrie: How do you think PureWow differs from other media outlets? Jenny: Our voice and the way that we approach our content separates us from other media outlets. We like our website to be a happy, a safe space. I feel like there are plenty of awesome sites and publications out there that cover progressive topics, but PureWow puts together stories so that they have an element of lightness to them. Our tagline is “Elevate your Everyday” and we really think about that when writing our content. Carrie: Now it’s time to get into some beauty questions. What are the top five beauty trends of the fall? Jenny: I really love the return to hair accessories. We also saw those big, thick leather headbands from Tom Ford and cloth clips at Alexander Wang. I also saw those plastic circle headbands on the runway that I used to wear when I was in grammar school. People are even embracing the natural textures of their hair this fall, which is really exciting because I mean, who wants to spend a ton of time on their hair every day? I also really like all the graphic and bold eye looks we’re seeing in tons of shapes and colors. My favorite example of that was the gold leaf eyes at Ulla Johnson--they were just so elegant and unexpected. Speaking of unexpected, I also love all the bold lip colors that I’ve been seeing. People are wearing bright pink or orange on their pout, which is really refreshing, especially because we’ve seen so many no makeup-makeup looks for a while. As for something that will always be a trend...highlighter. I will never give mine up--I just love a little bit of glow. Oh, and skincare is totally a timeless trend. If you take care of your skin, everything else follows. Skincare always comes first. How do you think PureWow differs from other media outlets? Our voice and the way that we approach our content separates us from other media outlets. We like our website to be a happy, a safe space. I feel like there are plenty of awesome sites and publications out there that cover progressive topics, but PureWow puts together stories so that they have an element of lightness to them. Our tagline is “Elevate your Everyday” and we really think about that when writing our content. What are the top five beauty trends of the fall? I really love the return to hair accessories. We also saw those big, thick leather headbands from Tom Ford and cloth clips at Alexander Wang. I also saw those plastic circle headbands on the runway that I used to wear when I was in grammar school. People are even embracing the natural textures of their hair this fall, which is really exciting because I mean, who wants to spend a ton of time on their hair every day? I also really like all the graphic and bold eye looks we’re seeing in tons of shapes and colors. My favorite example of that was the gold leaf eyes at Ulla Johnson--they were just so elegant and unexpected. Speaking of unexpected, I also love all the bold lip colors that I’ve been seeing. People are wearing bright pink or orange on their pout, which is really refreshing, especially because we’ve seen so many no makeup-makeup looks for a while. As for something that will always be a trend...highlighter. I will never give mine up--I just love a little bit of glow. Oh, and skincare is totally a timeless trend. If you take care of your skin, everything else follows. Skincare always comes first. Carrie: That was nine trends! I can’t wait to try them all. Now, I’m curious to know what the craziest beauty dare you’ve ever done is. Jenny: One time, I got my armpits lasered while being filmed on camera. Oh, my goodness...it hurt! Also, once I had to do a challenge where I did different tasks while wearing a sheet mask that can slip and slide off your face. The activities were so ridiculous--one of them was to trim a bonsai tree! Carrie: Hilarious! Next question: if you were stranded on a desert island, what one beauty product would you bring with you? Jenny: Honestly, this is such a boring answer, but I would have to say my sunscreen. I use Vive Sana Serum Crema, and it has the best texture. I’ve been particularly obsessed with it lately and have been using it nonstop. It just melts into your skin and gives you an amazing glow afterward without leaving a chalky cast. Carrie: I love how you would take a skincare product with you over makeup--skincare is so important. What’s your number one skincare tip? Jenny: Use SPF! You should also always take your makeup off before you go to bed. Carrie: Agreed! I always make sure to do that. What advice can you give to someone who is a makeup beginner who doesn’t have as much knowledge as you do about products? Jenny: Before you start the trial and error process, go to Sephora to get your skin shade matched. Sephora is so accessible, and not only will they shade match you, but they will send you home with a sample before you commit to buying it. Even if you do decide to buy it and change your mind, there’s a really generous return policy. Carrie: As we wrap up our discussion, I was wondering where you see both yourself and PureWow in the coming years. Jenny: Both the company and I are just going to continue growing. We’re going to expand way beyond where we are now. The media world is constantly changing, so we can never truly predict the future. Instagram Live wasn’t even around until this year! The landscape is constantly changing, and the only thing we can do is be flexible to the change and go with it. That’s one of the things PureWow is exceptionally good at. So no matter what happens, I think we’ll be good. What is the craziest beauty dare you’ve ever done? One time, I got my armpits lasered while being filmed on camera. Oh, my goodness...it hurt! Also, once I had to do a challenge where I did different tasks while wearing a sheet mask that can slip and slide off your face. The activities were so ridiculous--one of them was to trim a bonsai tree! If you were stranded on a desert island, what one beauty product would you bring with you? Honestly, this is such a boring answer, but I would have to say my sunscreen. I use Vive Sana Serum Crema, and it has the best texture. I’ve been particularly obsessed with it lately and have been using it nonstop. It just melts into your skin and gives you an amazing glow afterward without leaving a chalky cast. What’s your number one skincare tip? Use SPF! You should also always take your makeup off before you go to bed. What advice can you give to someone who is a makeup beginner who doesn’t have as much knowledge as you do about products? Before you start the trial and error process, go to Sephora to get your skin shade matched. Sephora is so accessible, and not only will they shade match you, but they will send you home with a sample before you commit to buying it. Even if you do decide to buy it and change your mind, there’s a really generous return policy. Where do you see both yourself and PureWow in the coming years? Both the company and I are just going to continue growing. We’re going to expand way beyond where we are now. The media world is constantly changing, so we can never truly predict the future. Instagram Live wasn’t even around until this year! The landscape is constantly changing, and the only thing we can do is be flexible to the change and go with it. That’s one of the things PureWow is exceptionally good at. So no matter what happens, I think we’ll be good. Make sure to also check out www.purewow.com.